Fifth grade classes at Lincoln and Union Elementary schools recently held a reading challenge. The goal was to earn the most AR points. 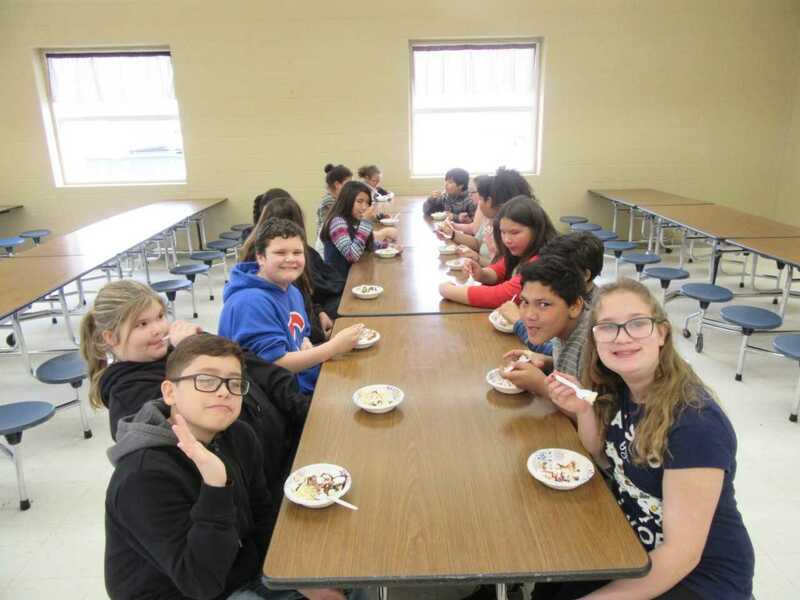 The school with the least amount of points had to take a bus to the other school and serve all the fifth graders ice cream sundaes. Lincoln students won the challenge. They are shown in the picture smiling as they wait for Union students to serve them. 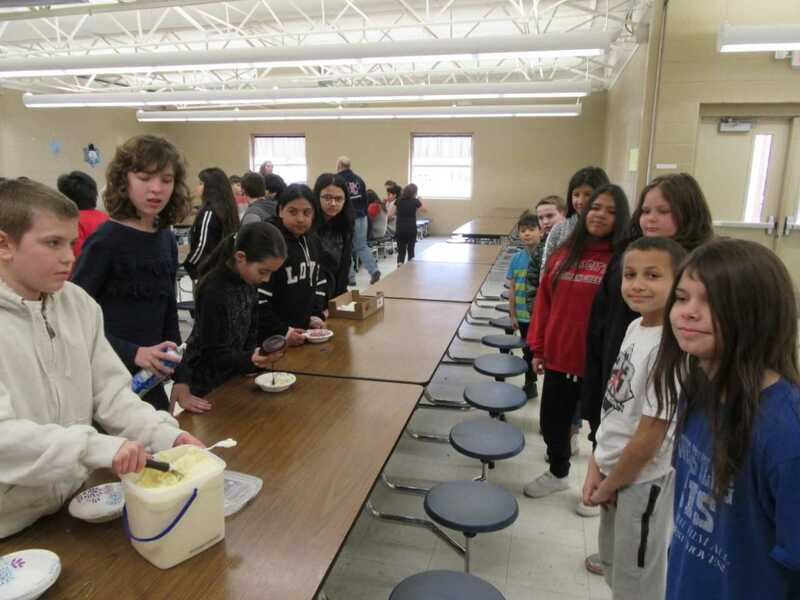 Lincoln students enjoying their ice cream.